When your best foodie friend goes into a new restaurant three times in two weeks… you need to find out why. Enter Cosa Buona – a casual Italian-American joint in Echo Park helmed by Chef Zach Pollack (Alimento). 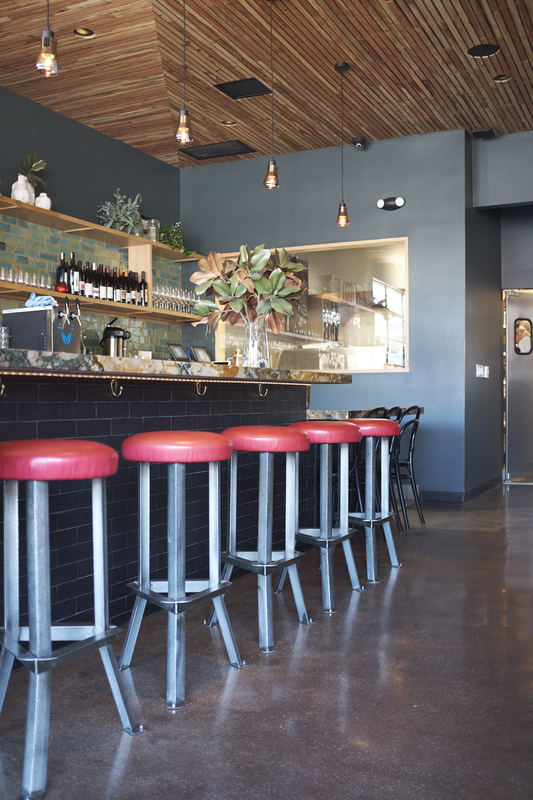 Cosa Buona has been open for a little over two months now and has easily become a friendly neighborhood favorite. It’s the perfect place to go for a low key delicious meal – wether that now be lunch, dinner, or even for take-out. 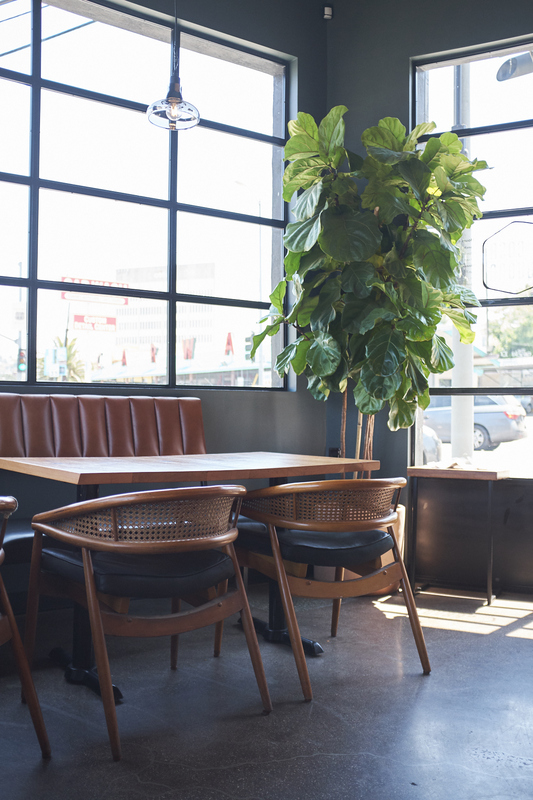 The general consensus seems to be that Cosa Buona is a favorite because it is what it is – great pizza, great food and drinks to have with said pizza, all with a low-key cool vibe. I went in for lunch a little over a week ago and absolutely loved it. It’s a great space, the menu is fantastic (yes even at lunch), and the food was great. Is it the best pizza I’ve ever had? Not necessarily, but is it done really well? 100%. 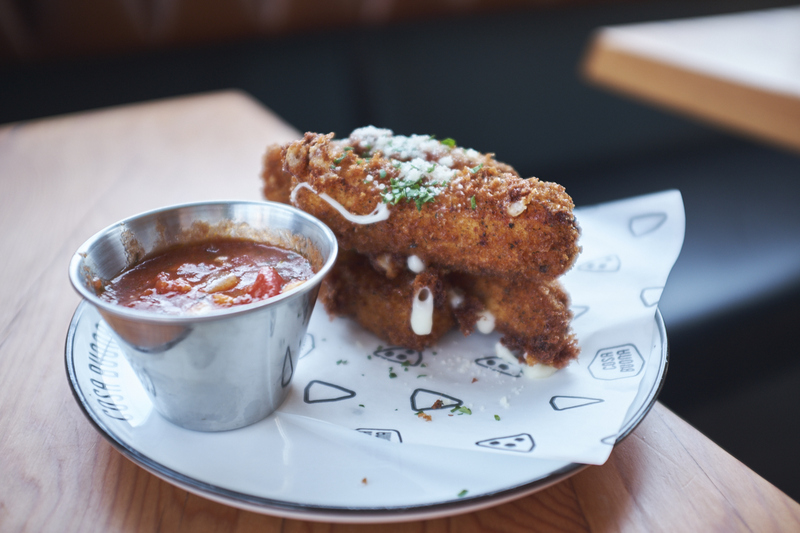 The menu is simple and comforting with a hint of innovation that gives Cosa Buona that edge and stand out factor. 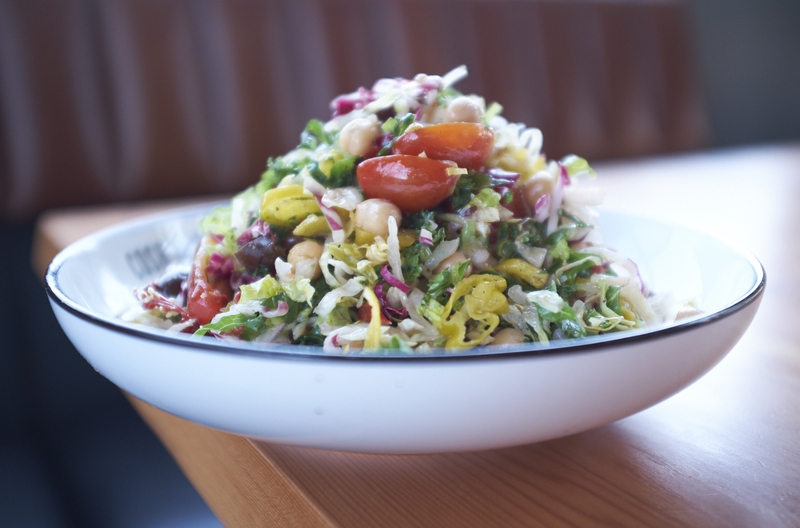 For example we’ve all had a pepperoni pizza, or mozzarella sticks, and a chopped salad… but Cosa Buona just does those classics exceptionally well. 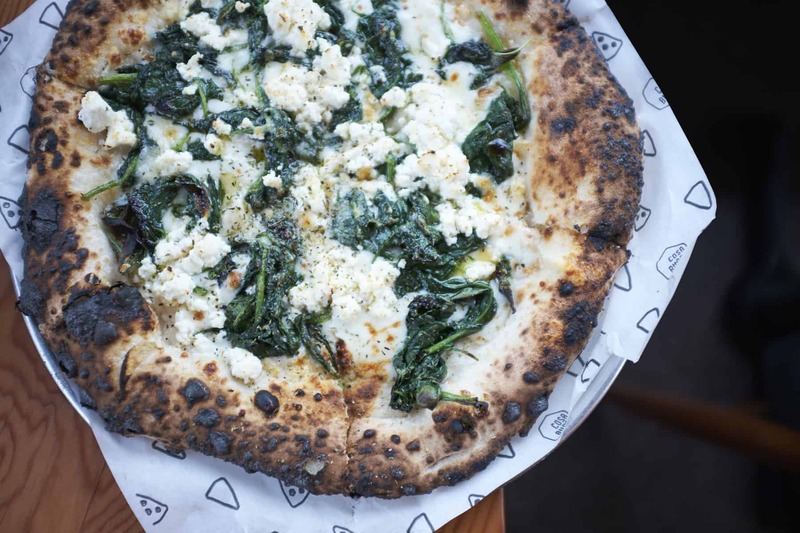 I’m relatively far from Echo Park so Cosa Buona won’t exactly become my neighborhood pizza and mozzarella stick joint, but the good news is if I’m ever having a serious craving… or you are having a serious craving… you can order Cosa Buona off the Caviar App! Must Order | First things first, my favorite thing on the menu is hands down the mozzarella sticks. If there’s such thing as gourmet mozzarella sticks, these would be it – and they’re absolutely to die for. I also absolutely loved their Italian Chopped Salad – it had to be one of the most well done chopped salads I’ve ever had and I mean that. Lastly and most obviously, you must order pizza! 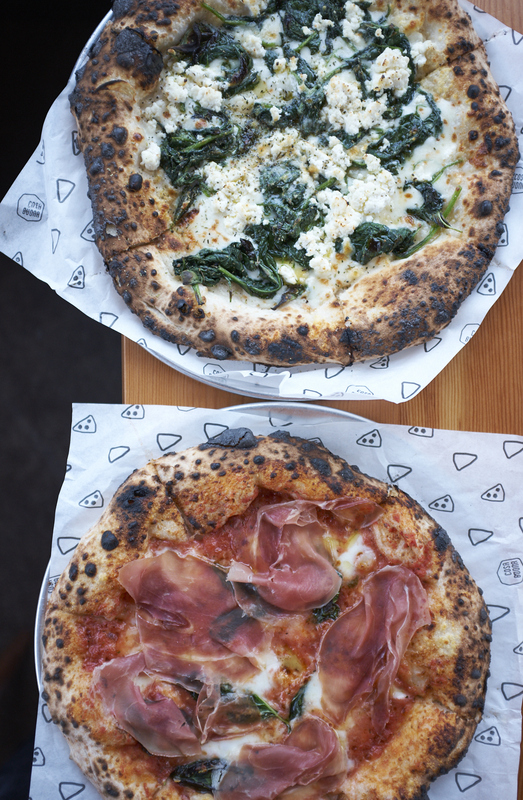 I ordered the Biancoverde pizza (ricotta, mozzarella, basil, spinach, garlic) and the simple Margherita pizza with prosciutto, and I have to say the Biancoverde was my favorite. Next time I’m getting the Pepperoni or the Hawaiian though – I’ve heard those are the two favorites! OMG.. everything looks so yum.